Can you ride across the Alps, from Munich to Venice, in four days? — Quirk Cycles | Custom Steel Bicycles Handmade in London by Frame Builder Rob Quirk. When my friend Justin Levene was asked that question in 2017 by Rad Race, organisers of the Tour de Friends, his response was “No idea. But I’ll try.” As a wheelchair user the challenge of riding across the Alps wasn’t a question of a tough ride for Justin. 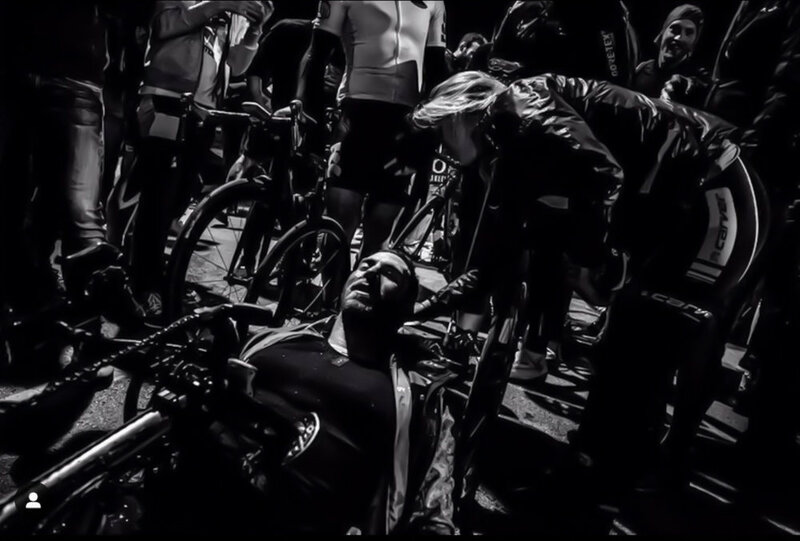 Using a handbike, his challenge was on a different level – using his arms Justin literally pushed himself over Europe’s mountains. The Tour de Friends is just that – a team of friends tackling a challenge. The emphasis is on camaraderie as much as completing the event. As well as myself, Justin invited long-time friend Owen Blandy, race team manager at Quirk-sponsored East London Fixed, and our good pal YouTube filmmaker Francis Cade who captured the adventure. For the event I took the bike I’d used for the TCR, the bike which has evolved into the Durmitor. Ideal for this sort of riding it’s proven itself to be the ultimate long-distance road bike, comfortable and stable, capable of miles of riding no matter the road conditions. The long climbs of the Alps just ticked away. Not that it was as simple for Justin – I’d be riding along next to him, eating a banana and admiring the scenery, and Justin would be just grinding and grinding away next to me. On a hand bike your weight is under the cranks, so when the gradient kicks up you can’t stand on your pedals and use your bodyweight, instead, you have to grind. He showed so much grit – it was incredible to see how deep he could go and still maintain his humour, his drive to keep going. Unlike the TCR there’s no need to carry everything you need on the Tour de Friends, think of it like the glamping version. Your luggage is transferred between hotels for you, and there’s enough food in the support vehicles for the event - all very different to sleeping in a desolate roadside bus shelter with a bag of nuts bought from a garage in Kosovo. The third day was the biggest with 200km and 2,500m of climbing from Brixen to Vittorio Veneto in north-eastern Italy, almost all of it in the pouring rain and ending in the pitch dark. It was epic in every sense of the word. We knew we were the last team out on the road that day, and we’d picked up stragglers from other teams as we went along. By the end we were a happy crew, but it was late, cold and really we expected no-one to be there to welcome us; they’d either be in the bar or staying warm in the hotel. But when we got to the finish, literally every single person in the race was at the line cheering for us. It was one of the most incredible feelings I’ve ever had. Justin was embraced by the crowd, hugged and congratulated. Everyone there knew how hard that day had been, and to have done it all with such a great group of friends was the best reward. The mayor of Vittorio Veneto even turned out. Later on Justin’s to tell us how that experience rated as one of the best of his sporting achievements. The Tour de Friends epitomises another aspect of riding I admire. 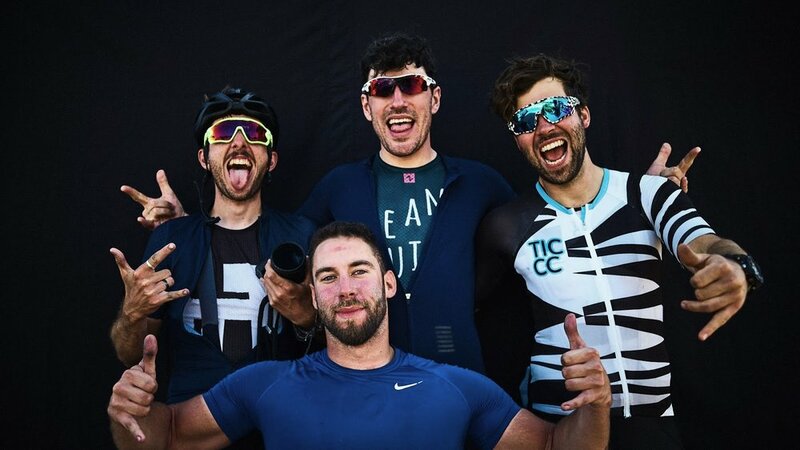 It wasn’t about how many watts you can push out, no smashing Strava KOMs, no leaderboards; it was about being with friends, supporting each other and helping Justin achieve his goal. It’s not that easy for him to just jump on his bike and go for a ride, and we all came together for him. It was an experience I’ll never forget.